Cost sharing reductions, or CSRs as they are called in government circles are allocated to insurance companies as part of the Affordable Care Act. President Donald Trump now is threatening to upset the individual market by refusing to pay cost-sharing reduction (CSR) payments to insurance companies. The White House is also pushing Congress to continue efforts to repeal the Affordable Care Act (ACA) despite three votes last week in the Senate failing to garner enough support among Republicans. With the deadline for adjusting individual market rates a little more than two weeks away, insurance companies are pleading with the White House and Congress to make good on the CSRs and warn that premium rates would increase substantially if they are not paid. (author) Trump may be using this as a negotiating point in his battle to repeal the ACA. It is on very short notice, most likely as Trump's effort to create even more chaos in the ACA. Meanwhile, a bipartisan group of about 40 lawmakers have been discussing changes to the ACA that both sides of the aisle can support. They are discussing permanent CSR funding, weakening the employer mandate and repealing the medical device tax, Politico reported. End of life decisions are usually neglected. Studies reveal few have an Advanced Directive prepared. Whenever one is admitted to hospital a standard question on admission forms is "Do you have an advanced directive? Even if you ask for a form, denial sets in and the form is firmly tucked away in a pocket or purse.....to be discovered weeks later, and then promptly put in the round file. Why do we do this ? I am guilty of the same. Death is a frightening event for almost all. Even physicians when it comes to themselves, a wife or a child we freeze. Physicians really never become comfortable emotionally with death. We file away the emotional reaction somewhere where we hide our fear, anxiety, and grief. After a tragic accident emotions run high and as death approaches we are paralyzed by events. Most Americans avoid end-of-life decisions, although some people may be more likely to make them if a doctor or social worker starts the discussion. In California, the state attorney general’s office offers an end-of-life planning checklist on its website. In the past few years, other websites have encouraged those conversations, with their own suggestions on how to get started. Rebecca Sudore, a geriatrician at the University of California-San Francisco, created prepareforyourcare.org, which provides step-by-step instructions and video stories to help people navigate the care they want at the end of their lives. She built the site in 2013 for families unsure how to broach sensitive questions. In a study published in JAMA Internal Medicine in May, she and other researchers found that the website — combined with the use of an “advance directive” form — prompted participants to plan ahead. The study performed at a Veteran's Administration facility revealed many important points. The site guides patients in drafting a “summary of wishes” to help families and other caregivers decide whether their loved ones should undergo life-sustaining medical interventions such as feeding tubes and ventilators. How do physicians keep on going? Despite all the rhetoric in the press about physician burnout there are some who have developed a sense of purpose. Recently I found myself sitting in my car in the parking lot of my clinic, unable to will myself to open the door. I didn’t want to head into the clinic that morning. Instead, I was filled with despair; overwhelmed with the events of the world. How can I do it? I thought. How can I walk in there and summon the energy to see my patients? An even worse thought: Why should I do it? What is the point in trying to heal the sick, in a broken world? In addition to world events, I had just found out that the loved one of someone I knew had been a victim of a brutal attack: a random act of violence. I couldn’t fathom how I would be able to walk into the clinic and face my sick, and in some cases dying, patients, and put forth to them the person they expected me to be — their doctor who believes in them, and who puts all else aside to be there for them. As I sat there, I struggled to make some sense in my mind of recent events, but I realized, there was no sense to be made. I still didn’t feel like I would be any use to my patients, but I decided I was no good to anyone sitting in my car either. So I went inside. I started my day, and in moments I was too busy to think about anything else. A few hours later it hit me — I was sitting with one of my patients listening to her concerns, and it was a few hours later. Without conscious thought, I had automatically stepped into my role as a physician, to put all else aside except the person behind the exam room door. And something else had happened too. The sense of despair was gone. I was filled with a sense of purpose again. The one that usually gets me through the door each morning, but I had momentarily lost. There are many forces that can make us lose our sense of purpose, both external and internal to the world of medicine. 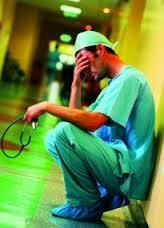 It’s awfully hard to be a good doctor without that sense of purpose. Some might call that burnout. Some days, it feels like it would be easier to shut down, to just stop caring. There’s too much bad out there. But that’s exactly why we can’t stop caring. I am often asked about my job as an oncologist, and most commonly I am asked whether it isn’t too “sad” or “depressing.” I can never quite put into words how completely opposite it is. That morning, it was only when I briefly lost my sense of purpose, that I felt a sense of despair. The opportunity and privilege to help someone in a true time of need is about as far from despair as you can get. And I get to do it every day. As do thousands of other doctors. Tragedy and a near death experience are reported in one of the latest "Incident Report", a weekly vlog hosted by Zubin Damania, known affectionately by "ZdoggMD" Dr Z, as he is often called, and his crew consisting of Mrs Dr Zdogg (also a physician), ZPop, and the ZPups bring an entertaining yet highly relevant to the public in an easily understood format. Even doctors may understand it all. All of us experience these incidents on a daily basis. 4. Grit ! This last one is probably the most important, to maximize the final outcome and adjust to overwhelming challenges. 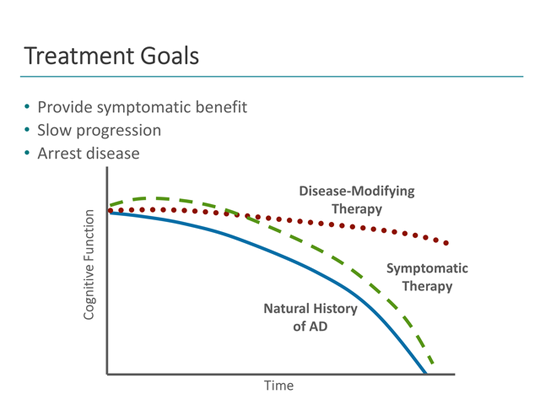 Alzheimer's disease continues to increase as the population ages and expected life span increases. The disease has profound effects on resources to care for this end of life phenomenon. The emotional and financial impacts are catastrophic on family, loved ones, caregivers and the social network as well as government funded long term care. Many new "memory centers" are emerging as well. Early diagnosis is suspected by cognitive changes, behavioral changes and observation. Confirmation studies such as fMRi and CT scans can confirm changes such as amyloid plaques, and cerebral atrophy. However Alzheimer's disease can be mimicked by other degenerative disorders. 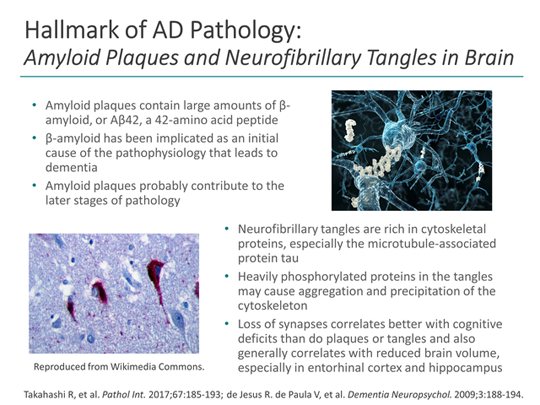 In an outstanding professional continuing medical education course the author gives an complete story for those interested in Alzheimer's Disease. He also elaborates on new treatments to ameliorate and slows down progress. For those interested in the pathology and biochemical changes his lecture extends to that domain as well. 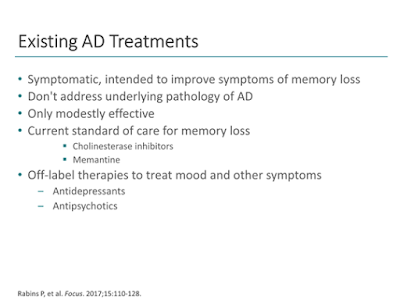 Currently there is no treatment that will roll back the effects of AD. Current treatments will extend the time period for progressive decline. "Choosing Wisely" is a compendium of one hundred and eighty pages of quality medical recommendations. The list was compiled by specialty organizations in each field and generated by peer reviewed scientific journals. This is the premier source of verified and credible information. This is an extensive list of do's and don't for physicians developed by the American Board of Internal Medicine, and it's subspecialty organizations. It is available in this post below. 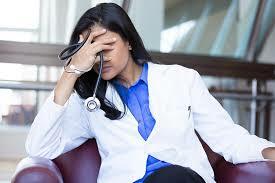 There are a few surprises in the document, which many physicians will not know. 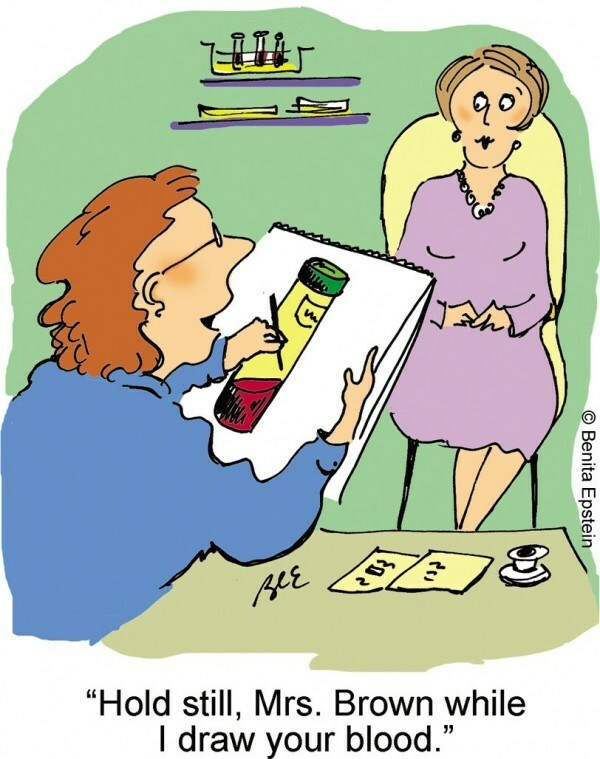 Some patients who read it will be ahead of their own physician. Always question why the test is necessary. It is your right to refuse a test or treatment. Almost all don'ts revolve around unnecessary diagnostic and/or preventive measures that show no real value. Many of these tests, or preventive measures are done for anecdotal or fear of legal liability by omission. All of these pseudo-treatments increase the cost of health care without proof of effectiveness. Physicians are always very skeptical and suspicious that new Health Care Policy is set without vetting of their overall effects on the quality/quantity of outcomes. Elevator and doctor lounge conversation often turns to this subject. It has been several years for the affordable care act to impact some of health outcomes. One study from Yale looked at the effects . 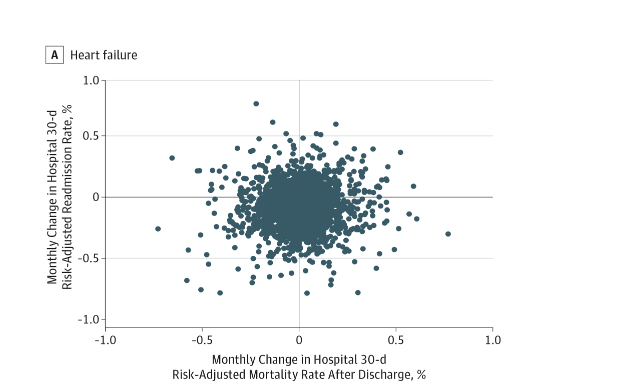 of the regulation regarding Hospital Readmission Rates in the first thirty days following discharge from the hospital. Investigators at Yale University ,F. Perry Wilson MD, MSCE compared the incidence of certain events since the new regulation went into effect. He points out how regulations can have unintended consequences. They did not examine the relationships between length of stay, readmission rate, and mortality, they did examine inpatient mortality in a secondary analysis and again found no increased risk among hospitals with better readmission rates. So even if hospitals are keeping patients longer, it doesn't seem like this is killing them. In this case, we have no evidence of unintended consequences from the HRRP. But this is but one policy of many, and in a health system as complicated as ours, prediction of the effects of policy will never be a match for measurement of those effects." The results of the study come at an important time as legislators try to determine fixes to the ACA. F. Perry Wilson, MD, MSCE, is an assistant professor of medicine. 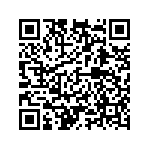 As consumers we are all aware of the rapid advancing technology using current items available on the consumer market. Many of these can be adapted for scientific and surgical use. A small camera box attaches to any microscope where the oculars usually are, and stunning views are displayed on a 55-inch HD 4K monitor. The surgeon wears polarized glasses or clip-ons, sits back in the chair, and operates looking heads-up at the screen. There are many advantages to operating with a 3D viewing system, but below are a few that I personally think are great features. 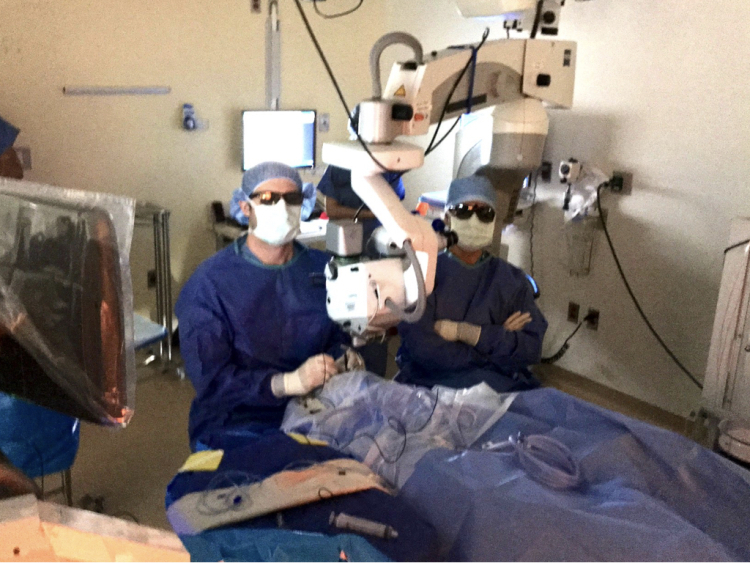 This technology is also being applied to other fields of medicine, orthopaedic, neurosurgery and laparoscopic techniques. It will have applications for chest surgery as well, and other micro-incisional surgeries. Author notes: Gary Levin M.D. is a board certified ophthalmologist. He was educated at George Washington University and Albany Medical Center. His clinical experience included 30+ years as a comprehensive ophthalmologist and as a voluntary faculty member in the Department of Ophthalmology at Loma Linda University School of Medicine. He blogs at Health Train Express and Digital Health Space. His other interests include the adoption of digital information to clinical medical care. His resume can be found on Linkedin. How Will Climate Change Make the Earth Unhealthy For Humans? 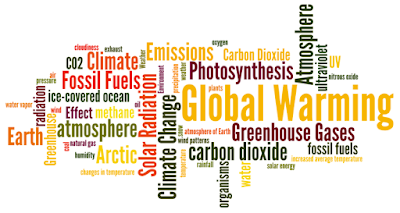 Health Train Express' investigation of climate change has resulted in our publishing this article, with the intention of raising awareness about the threat of climate change increasing baseline carbon dioxide levels, and rising sea levels. Changes in C02 levels have in the past altered biomes and life forms upon which apex life forms depend. 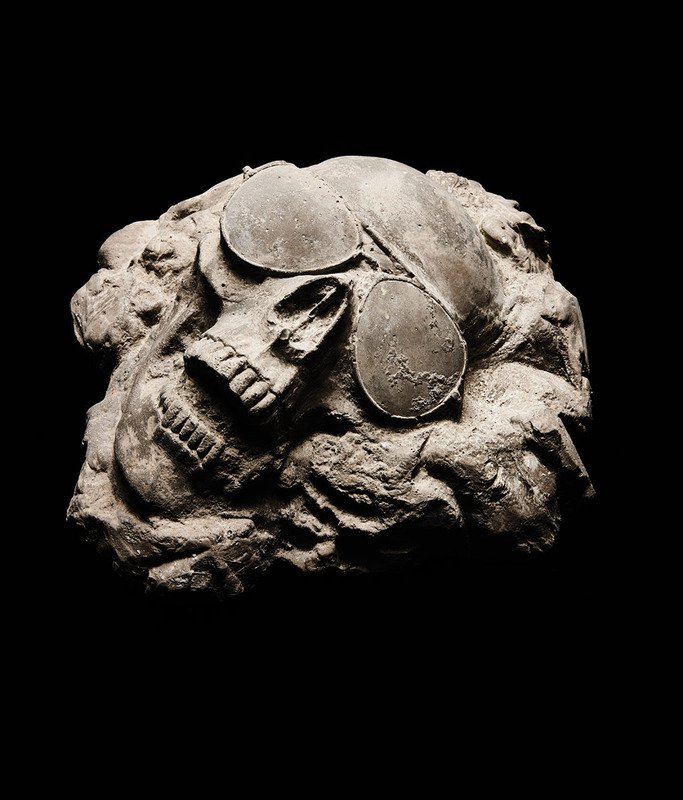 We are already seeing mass extinctions of amphibians, birds, and vertebrates. Carbon dioxide plays a major role in the acid-base balance of human metabolism. Increased C02 levels increase respiratory rates. The increased rate of asthma in children is the 'canary in the mine' warning sign. 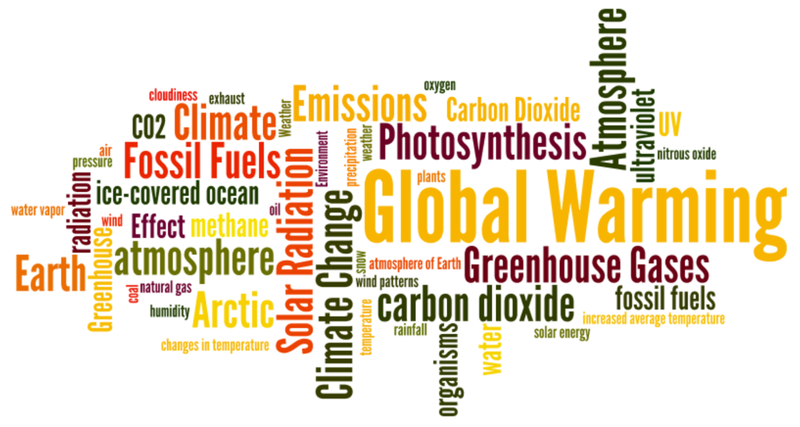 Climate change and rising ocean levels are a common topic for conversation. There are other features of an increase in carbon dioxide in Earth's atmosphere, which will cause catastrophic effects on human health. Rising C02 levels have physiologic effects on animals, including the apex mammals, homo sapiens.CO2 plays a key role in respiratory physiology, and acid base balance of our bodies. In between scientific reticence and science fiction is science itself. This article,which was published in the New York Magazine, is the result of dozens of interviews and exchanges with climatologists and researchers in related fields and reflects hundreds of scientific papers on the subject of climate change. What follows is not a series of predictions of what will happen — that will be determined in large part by the much-less-certain science of human response. Instead, it is a portrait of our best understanding of where the planet is heading absent aggressive action. It is unlikely that all of these warming scenarios will be fully realized, largely because the devastation along the way will shake our complacency. But those scenarios, and not the present climate, are the baseline. In fact, they are our schedule. The key factor is something called wet-bulb temperature, which is a term of measurement as home-laboratory-kit as it sounds: the heat registered on a thermometer wrapped in a damp sock as it’s swung around in the air (since the moisture evaporates from a sock more quickly in dry air, this single number reflects both heat and humidity). At present, most regions reach a wet-bulb maximum of 26 or 27 degrees Celsius; the true red line for habitability is 35 degrees. What is called heat stress comes much sooner. It is already occuring in tropical zones, in Bangaladesh, parts of Europe, and even in parts of the United States, where heat waves increase mortality among senors and the disabled. At four degrees, the deadly European heat wave of 2003, which killed as many as 2,000 people a day, will be a normal summer. At six, according to an assessment focused only on effects within the U.S. from the National Oceanic and Atmospheric Administration, summer labor of any kind would become impossible in the lower Mississippi Valley, and everybody in the country east of the Rockies would be under more heat stress than anyone, anywhere, in the world today. Joseph Romm has put it in his authoritative primer Climate Change: What Everyone Needs to Know, heat stress in New York City would exceed that of present-day Bahrain, which is a book that every man, woman and child must read. And we have not yet looked at how climate change will affect plants and adequate food supplies. Even now there are large regions of famine and inadequate fresh water supplies. Perhaps initially mankind will adapt by seasonal migrations, en masse just like the vildebest, whales, and migratory fowl. Some privileged already have summer homes and winter retreats to cope with current climactic discomfort. At best this will only be a temporary solution. With proper planning we must act now. Time is (or has) run out. As climate change evolves our ability to cope with making change will diminish. 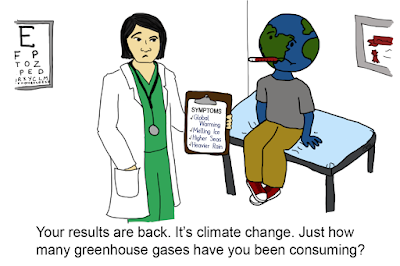 Compare Health Reform rhetoric with that of Gobal Warming. 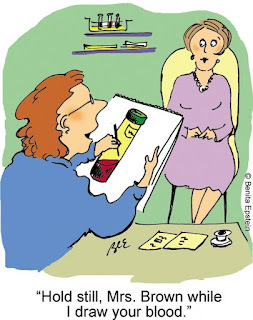 Patient centered medical care is changing. In the not to distant future devices such as the ones Dr. Bertalan Mesko demonstrates and explains to us will be available by prescription or even as over the counter devices available at your pharmacy, Best Buy, WalMart, and Amazon. This is only the beginning. Blood pressure monitors and oxygen saturation monitors have been available for over a decade. Now they have been miniaturized. EKG, BP, Oxygen saturation sensors, all of which can plugged into your smartphone. The patient will become the center of care, utilizing many devices you will learn about here. These instruments will become very important to our health system which is already inadequate. They offer time saving tools, efficiency and will be welcomed by physicians as they become more familiar with their use. It is the best of times as far as technological advances, and the worst of times in areas of health financing reform. 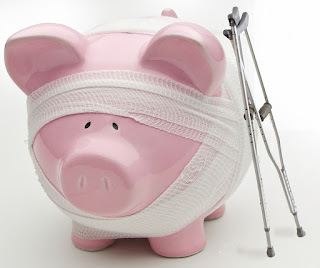 What is Wrong with Health Savings Accounts ? GOP Seeks To Sweeten Health Savings Account Deals. Will Consumers Bite? A growing number of employers are offering workers insurance that links to health savings accounts, and now congressional Republicans want to expand the contribution limits and uses for these tax-exempt funds. But do consumers want them? 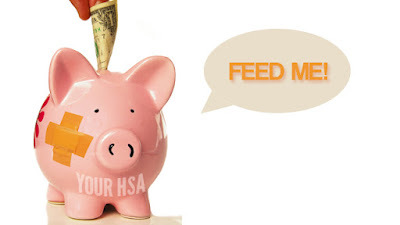 A new study found that fewer than half of people with health savings accounts (HSAs) deposited any money in them in 2016. The average total account contribution, including both employer and employee deposits, was $2,922, significantly lower than the maximum allowable contribution for family coverage ($6,750) or individuals ($3,350), according to the study. Republicans would like to expand the use of health savings accounts and promote them as a way to help consumers play a larger role in controlling their health spending. Plus, they say, the tax advantages of HSAs help consumers afford their care. But the latest study suggests that current legislative proposals may miss the mark. “If your goal is to increase the number of people with HSA-eligible health coverage and thus HSAs, simply increasing the contribution limits isn’t going to get you there,” said Paul Fronstin, director of the health research and education program at the Employee Benefit Research Institute and the author of the report. Only 13 percent of account holders contributed the maximum amount, Fronstin said. Money that employees contribute to a health savings account doesn’t count as taxable income, and interest and other earnings in the accounts grow tax-free. In addition, to remain nontaxable, the funds must be used to pay for medical expenses, such as doctor or hospital care, dental services and prescriptions. The accounts must be paired with a health plan that has a deductible of at least $1,300 for individual coverage and $2,600 for family coverage. Both employers and employees can contribute to the accounts, and the money belongs to the employee if he leaves his job. People with coverage on the individual market who buy a plan that meets federal HSA standards can also open and fund health savings accounts. In 2016, 20 million people were enrolled in high-deductible health plans with a health savings account, according to America’s Health Insurance Plans, an industry group. Republicans have proposed to increase the limit on health savings account contributions to equal the deductible and out-of-pocket spending limit starting next year, or at least $6,550 for individuals and $13,100 for families. Their bills would also allow spouses to make catch-up contributions to the same health savings account and let people use funds from their health savings accounts to pay for over-the-counter medications, among other things.The bill being advanced by Senate Majority Leader Mitch McConnell (R-Ky.) also would allow beneficiaries to use their account to pay premiums. Critics charge that expanding health savings accounts will provide little benefit to lower-income people who have no spare cash to fund them. The EBRI analysis is based on its database of 5.5 million health savings accounts with $11.4 billion in assets, representing 27 percent of all HSAs. The EBRI study found that roughly two-thirds of account holders withdrew funds that totaled an average annual $1,771 in 2016. People’s account balances grew over time, the study found. Accounts opened in 2016 had an average balance of just over $1,000, while those opened in 2004 had an average balance of nearly $15,000. Since most people don’t have high health care expenses in any given year, they can build up balances over time, Fronstin said, and people also might contribute more as they learn how the accounts work. “The longer you’ve had the account, the better you understand the tax benefits and understand the value of making a contribution,” he said. Lung transplantation is a procedure for end-stage lung disease to replace a diseased organ with a healthier one from a deceased organ donor. It is an option used to improve the health and prolong survival of patients. 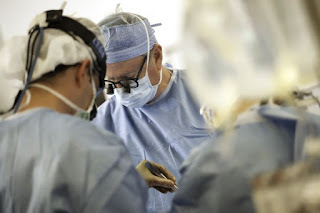 Lung transplant can benefit patients with diseases such as cystic fibrosis, COPD (chronic obstructive pulmonary disease), idiopathic pulmonary fibrosis (IPF), pulmonary arterial hypertension, autoimmune-related advanced lung disease, sarcoidosis, and silicosis. Patients must be referred by their local pulmonologist and their records reviewed. Once accepted for potential transplant, patients are extensively evaluated in a clinic visit. If they qualify, they are listed for transplant and seen in clinic every three months. Transplant surgery generally lasts 4 to 12 hours, followed by 8 to 24 hours of stabilization in an intensive care unit (ICU) in the hospital. Recovery will be in the Heart and Lung Transplant ICU (HTICU). When well enough, patients are discharged to local housing for several weeks for outpatient follow-up care. One small step for a new drug, one giant leap for precision medicine ! 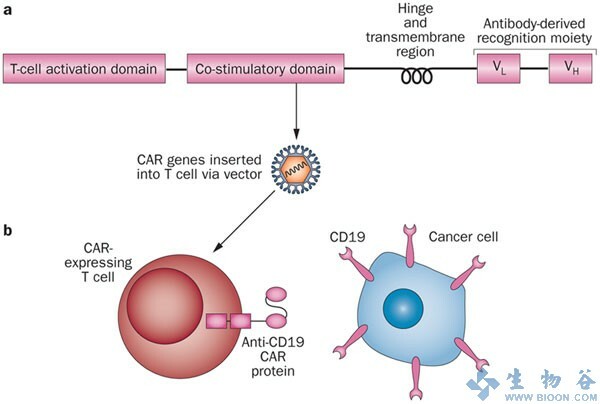 A new dawn is breaking in the field of hematologic malignancies, as the first product based on chimeric antigen receptor (CAR) T cells was scrutinized today by a panel of experts and unanimously recommended for approval. The product is tisagenlecleucel-T (previously known as CTL019; developed by Novartis), and the "yes" vote was in answer to this question: "Considering the efficacy and safety results of Study B2202, is the benefit-risk profile of tisagenlecleucel favorable for treatment of pediatric and young adult patients (age 3-25 years) with relapsed (second or later relapse) or refractory (failed to achieve remission to initial induction or reinduction chemotherapy) B cell precursor acute lymphoblastic leukemia (ALL)? " This product is made individually for each patient. Blood is collected from the patient, and then autologous T cells are separated out and genetically engineered. 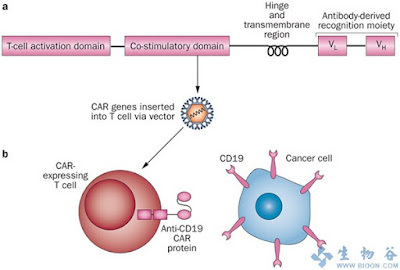 The process involves inserting a CAR that targets CD19, an antigen expressed on B cells and tumors derived from B cells. These CAR T cells are then infused back into the patient, who has undergone chemotherapy, and in the body the product homes in on B-cell leukemic cells and destroys them. Several similar products are in late stages of development. Coming up soon for review by the FDA is Kite Pharma's axicabtagene ciloleucel (KTE-C19) for lymphoma, while further back are CAR T-cell products from Juno. There is much rivalry between pharma companies dedicating enormous resources in the field of precision medicine. So much so that, "I am amused by the horse-race metaphors that are used to frame the various companies developing CAR-T therapies," Dr Belldegrun wrote in a blog post. "Today is not about competition," he continued. "Today is about advancing an exciting technology that has the potential to transform cancer." The Conundrum of delaying retirement to Age 70. Alzheimer's disease . (AD) is the talk of the town. Anyone who has a mild cognitive impairment (MCI) panics at the prospect of having early Alzheimer's disease. How do you discriminate the two? 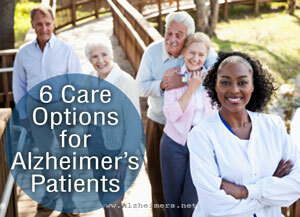 The effects of Alzheimer's disease can begin as early as 50 years of age. While we picture many patients in nursing homes, there are many still in the working and productive years of life. There are many examples. 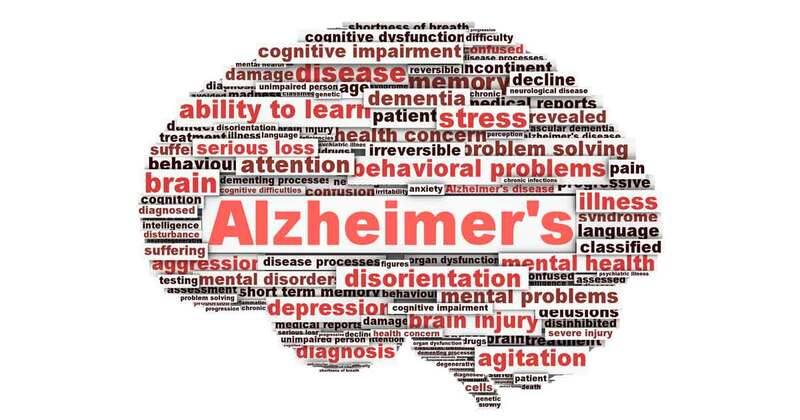 The symptoms and signs of Alzheimer's Disease. Malcolm Young, legendary guitarist and co-founder of rock band AC/DC, has been playing guitar since 1969. He’s considered by some to be one of the best rhythm guitarists in the world, producing hits like “You Shook Me All Night Long.” Unfortunately, Young recently announced his retirement from music, due to a dementia diagnosis. An article states that his departure from the band follows his “complete loss of short term memory,” and that he has trouble remembering people moments after meeting them. Country singer and guitarist, Glen Campbell, announced in 2011 that he had been diagnosed with Alzheimer’s. He’s completed his “Goodbye Tour,” which concluded in Napa, California. Campbell has over 50 years in the music business and on television, and landed a historical win of four Grammy’s in 1967. Pat Summitt coached the Tennessee Lady Vols basketball team to an amazing 8 NCAA championships and retired with a record of 1,098-208. Summit recently announced that she had been diagnosed with early-onset Alzheimer’s. She retains the title of Head Coach Emeritus, and is currently involved as an advocate for people with the disease. Perry Como was a popular singer and television personality during the 1950s and 1960s and continued to perform periodically during his later years, especially around Christmas. Como suffered from Alzheimer’s for two years before passing away in 2001. 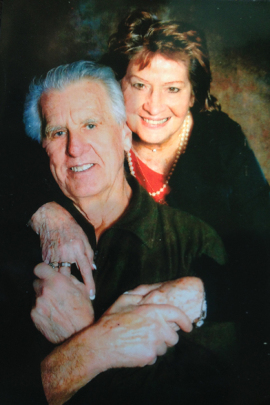 Como spent more than 50 years in the entertainment business and was widely respected, personally and professionally. Charles Bronson, star of “Death Wish” and numerous other action films, spent the last years of his life debilitated from Alzheimer’s. An article about Bronson’s late years, that discusses his struggle with the disease, can be found here. Six years after the end of his presidency, Ronald Reagan announced to the American public that he was “one of the millions of Americans who will be afflicted with Alzheimer’s disease.” He said that his public disclosure was intended to raise public awareness about the disease. Charlton Heston’s most famous role was as Moses in “The Ten Commandments.” Like his personal friend, Ronald Reagan, Heston also announced publicly that he had Alzheimer’s. Heston left a long legacy of entertainment contributions and political activism. Rockwell, one of the most famous American painters, became well known for his illustrations on the cover of the Saturday Evening Post. Rockwell succumbed to Alzheimer’s after a long and illustrious career. Interestingly, Rockwell’s paintings are now used sometimes in dementia therapy because of the memories and nostalgia they elicit. Hayworth was an American film star who rose to prominence in the 1940s. Despite fairly obvious signs of the illness, Rita Hayworth was not correctly diagnosed for several years. After eventually learning the cause of her memory loss, Hayworth became the “face of Alzheimer’s disease” during the 1980s. This year, the Alzheimer’s Association held its 32nd Annual Rita Hayworth Gala. Sugar Ray Robinson, recognized as one of the best boxers ever, died from Alzheimer’s at just 67 years of age. Robinson held the welterweight and middleweight title belts, and finished with a final record of 173 wins, 19 losses, and 2 draws. It’s not currently known whether his head injuries contributed to Alzheimer’s disease. During the 1970s, one of America’s most renowned classical composers, Aaron Copeland, found that his powers were failing him because of memory loss. By the 1980s he was unable to compose, and he passed away in 1990 shortly after his 90th birthday. Burgess Meredith may have been most famous for his role as the Penguin in the “Batman” TV series, although he appeared in numerous films and shows. His career would have been even greater had he it not been for McCarthyism and the Red Scare; he spent 7 years on a Hollywood blacklist because of his left leaning political views. Meredith passed on due to complications from Alzheimer’s disease. Estelle Getty is best known for her role as Sophia in the “Golden Girls.” She passed away from complications of Lewy body dementia, which is actually different than Alzheimer’s but also causes memory loss and other Alzheimer’s-like symptoms. Peter Falk began his career on stage, but reached national prominence as a star of the TV series “Columbo.” He also played the narrator and grandfather in the popular film “Princess Bride.” Towards the end of his life his physician reported that he could no longer even remember the character of Columbo. Alzheimer’s disease was one of the underlying causes for his death. James Stewart was recognized for his military career and for his time as an actor, where he was best known for his roles in “Mr. Smith Goes to Washington” and “It’s a Wonderful Life.” He remained active until his death in 1997, being slowed by Alzheimer’s and another illness, which lead to his death. Eddie Albert is best known for his roles in “Roman Holiday” and the “Heartbreak Kid,” as well as his time spent playing Oliver Wendell Douglas in the 1960s television comedy “Green Acres.” He began suffering from Alzheimer’s when in his 90s, and was cared for by his son until his death. Evelyn Keyes is well known for her role as Suellen O’Hara in the classic film, “Gone with the Wind,” and for her role in “The Seven Year Itch.” She retired from acting but continued living life to the fullest, and wrote a memoir of her experiences before being diagnosed with Alzheimer’s in her 80s and passing away in her 90s. Best known for his lifetime of contributions to The New Yorker and for authoring “Stuart Little” and “Charlotte’s Web,” E.B. White was an accomplished writer and editor. He began suffering from Alzheimer’s in the 80s and eventually succumbed to the disease in 1985. Rosa Parks is known as “the Mother of the Freedom Movement,” after being arrested for refusing to give up her seat on the bus and beginning the civil rights movement. She wrote an autobiography and continued to live a quiet life before being diagnosed with and later passing from, Alzheimer’s. Recognized for his military career and known for acting as “Scotty” in “Star Trek,” James Doohan had an incredible acting career before announcing his Alzheimer’s and Parkinson’s disease diagnosis and dying in 2005. Known and adored by many as an actor and comedian, Williams rose to fame as Mork in the sitcom “Mork & Mindy.” He won the Academy award for Best Supporting Actor for his performance as Dr. Sean Maguire in” Good Will Hunting,” and was also the recipient of two Emmy Awards, six Golden Globe Awards, two Screen Actor Guild Awards and four Grammy Awards for the myriad of impressive work he accomplished. He was inducted as a Disney Legend for his role as Genie in “Aladdin,” and was admired by the American public for his talents as both comedian and actor. Williams began to suffer from Lewy body dementia which was believed to be a“critical factor” that led to his suicide in 2014. Kasem’s voice was recognized by Americans everywhere with his American Top 40 countdown — a franchise he co-founded — that greeted the airwaves of radios across the U.S. from 1970 to 2009. He was also the voice of “Shaggy” in “Scooby-Doo” from 1969-1997, and again from 2002-2009. Casey also provided the voice of many commercials and children character cartoon voices, from Sesame Street to Transformers. Kasem was diagnosed with Lewy body dementia in 2007, which he suffered from until his death in 2014. Worried about your or a loved ones memory?